This is is the first book devoted entirely to techniques for producing knowledge from the vast body of unstructured Web data. Building on an initial survey of infrastructural issues-including Web crawling and indexing. The author examines low-level machine learning techniques as they relate specifically to the challenges of Web mining. He then devotes the final part of the book to applications that unite infrastructure and analysis to bring machine learning to bear on systematically acquired and stored data. Here the focus is on results: the strengths and weaknesses of these applications, along with their potential as foundations for further progress. 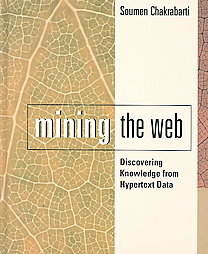 From the author's work-painstaking, critical, and forward-looking-readers will gain the theoretical and practical understanding they need to contribute to the Web mining effort.